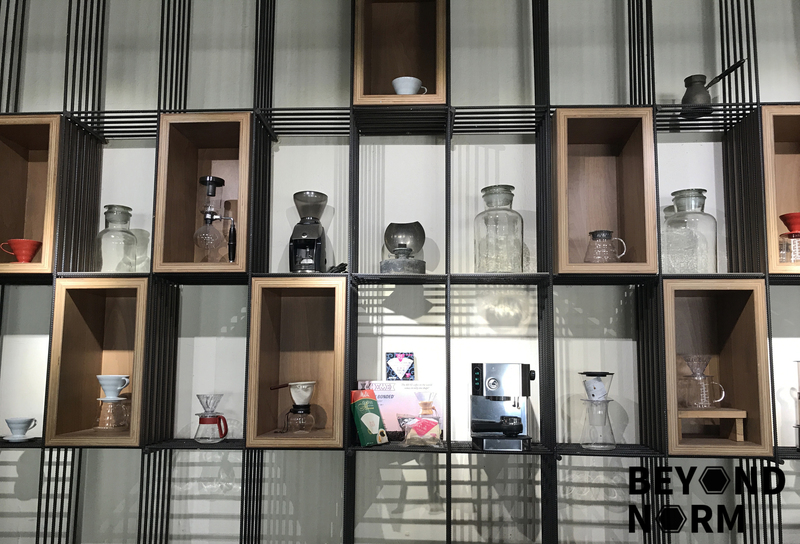 For the longest time, I’ve heard that Chye Seng Huat Hardware (or CSHH) has pretty good coffee. So I finally made a trip here to check it out! 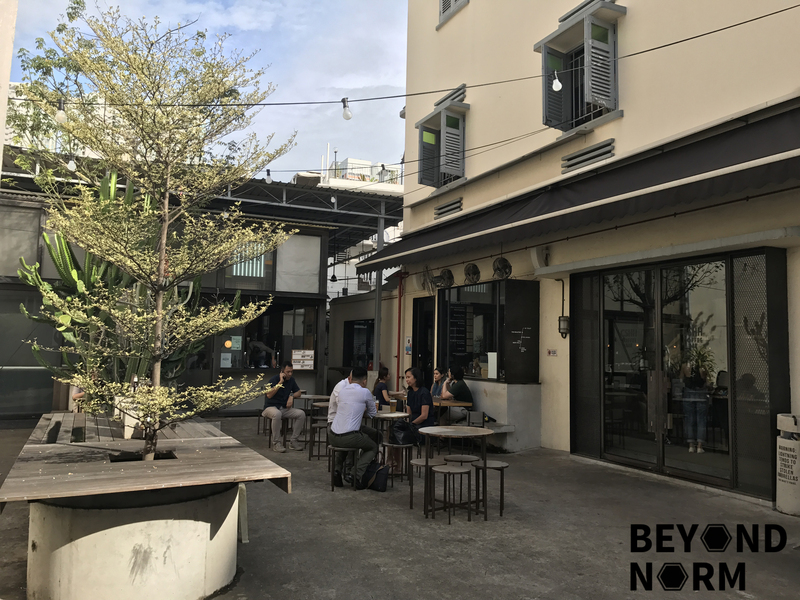 Located in the heritage district of Jalan Besar, CSHH is the flagship store of Papa Palheta, an independent coffee boutique, which boasts a decent sized menu ranging from their breakfast choices to their desserts. CSHH, which means to ‘flourish again’, adopted it’s name from the hardware company of its past and has been refurbished whilst maintaining it’s 80s rustic vibe. We ordered Iberico Pork Rack (S$24.00) which was below my expectations. 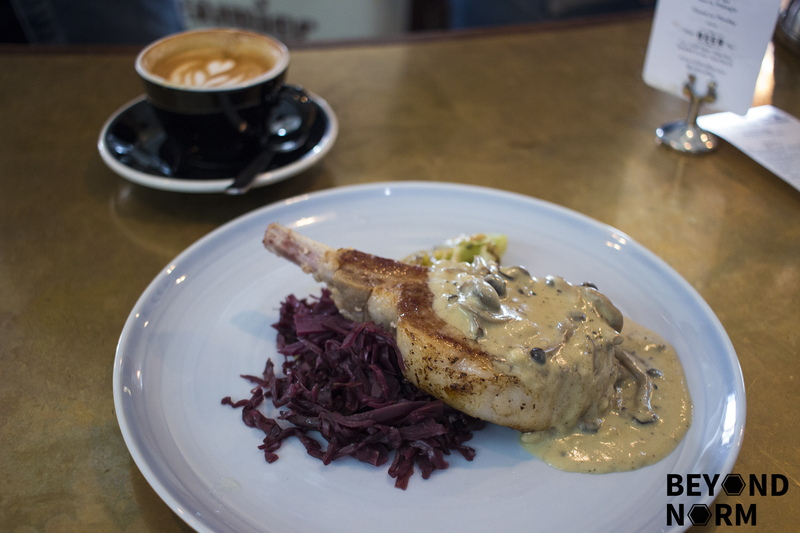 The pork itself had very little flavour without the sauce and the wine braised red cabbage was a tinge too sweet for my liking. For the price, I expected more but in my books, it did not hit the mark. 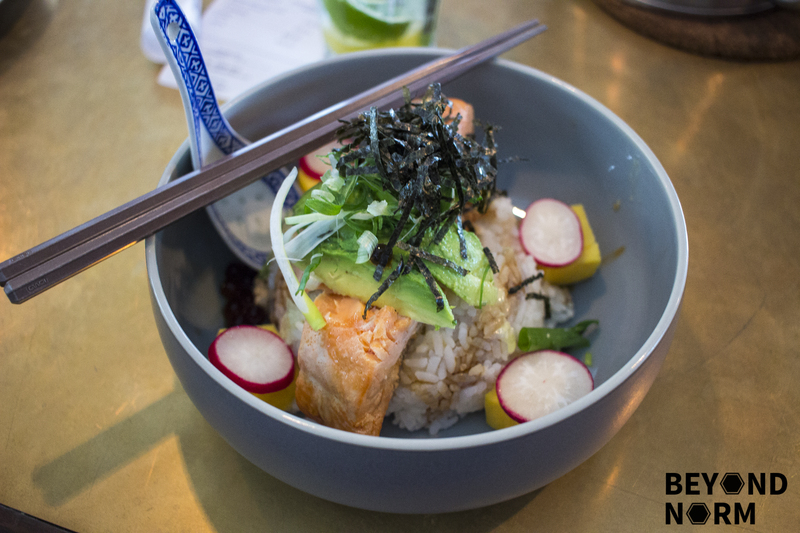 We also tried their Teriyaki Salmon Donburi (S$19.00). Do not be fooled by the good looks as the salmon lacked flavour as the rice had absorb most of the teriyaki sauce. To me it was nothing fantastic, just an instagrammable dish. 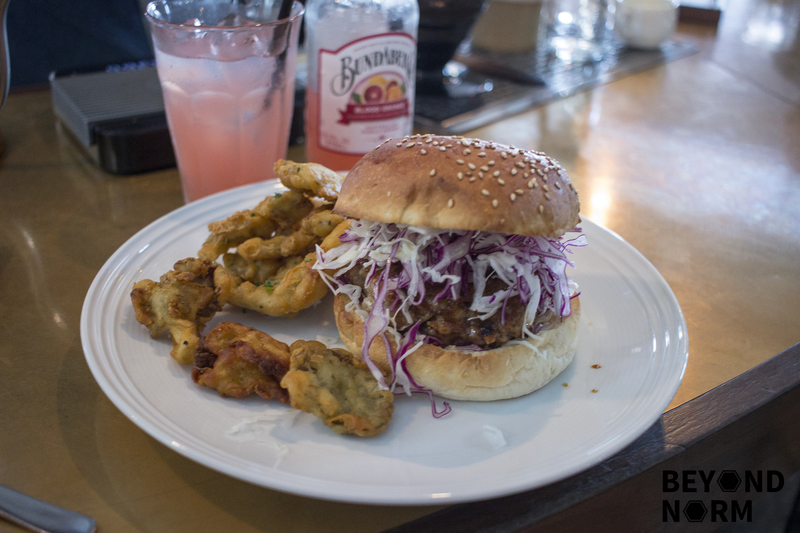 We also had a go at their Soy Glazed Chicken Burger (S$20.00). It did not look great aesthetically, but I felt it was the most interesting in terms of flavour and was really something different. The oyster mushroom tempura was really nice and crispy and it went well with the burger. The chicken was really evenly coated in the soy sauce and really stood out to me. 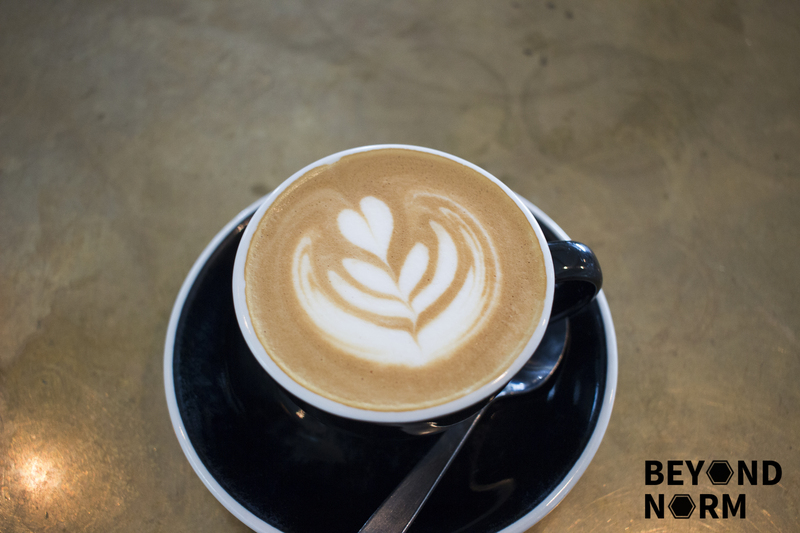 I ordered the cappuccino and initially it had a more acidic sour taste but as it cooled it began to become more bitter which I preferred. I kind of regretted not ordering their hand brews as they were making some and it just smelled so good. Overall, I am not particularly impressed with CSHH’s food which is a pity as it does not match up to the standard of their coffee. However, I just might make another trip down to try their hand brews!